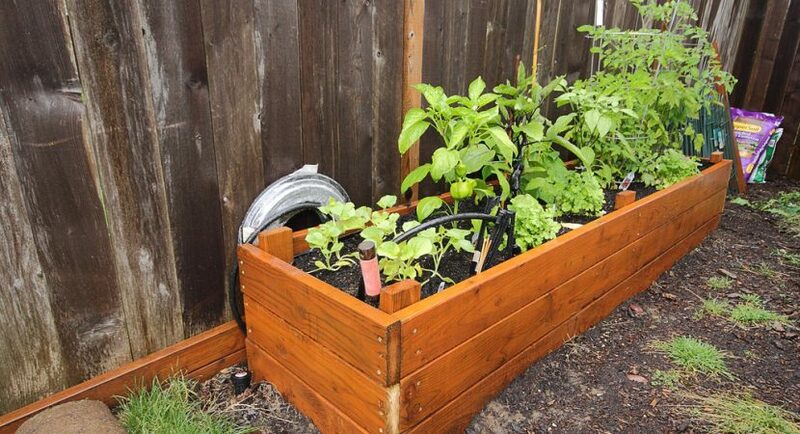 If you’re ready for a bit of DIY landscaping in your garden, raised beds are a great solution. There are lots of great raised bed designs which you can easily make yourself without any specialist gardening or landscaping knowledge, and the result will be very impressive. A raised garden bed means that you’ll grow your plants higher up than the ground. Usually, the frame will be made from stone, wood or even repurposed materials. You can be as creative as you want when making raised beds, so you’re sure to be able to make one to fit your budget. As an added advantage to raised beds, you can choose the perfect space for your garden. That means you can have a garden even if you have no grassed area or lawn. You could even have a portable raised garden if you’re creative enough. Your plants will usually be healthier since you’re better able to control the soil’s quality and the water drainage. If you have a bad back, you can enjoy not having to bend over to tend to your plants, and you may even be able to sit down while gardening if you create your beds to right height. If you already have a patio, it’s very simple to use bricks to create a raised bed around it. You just need two layers of bricks with a space in between for soil and some small border plants. This permanent spot will allow perennials to mature without needing to be moved. This is also a great solution for making a herb garden, since the space between the bricks is quite small, lending itself well to herbs. Raised garden beds are already above the frost line. That means you’re able to plant your flowers sooner during the spring months. If you’re keen to have warmer soil all summer, you can use sheet metal to create the walls of your raised bed. The metal retains the sun’s heat and transfers it into the soil. Since sheet metal is very simple to bend into different shapes, you can easily create the shape of raised bed you like and grow popular Mediterranean plants such as lavender and sage. An unusual idea for a raised bed which is perfect for growing herbs is to create a spiral garden. You can do this easily by using wood, brick or stone piled vertically against a wall so you won’t be taking up precious ground space. You could even just pile up soil for a really simple spiral garden that you can make in hours. The swirled plants and unusual shape creates a really eye-catching display in any garden. Even a novice to home DIY could make a simple raised wooden bed. There are lots of easy to follow tutorials online showing you how to use a band saw to cut lumber to the right length and fix it together to create an attractive yet easy garden bed that is perfect for all kinds of plants. It’s perfect for DIYers! If you’re looking for a really basic DIY project, it couldn’t be easier to make a raised garden bed out of an old animal trough. Simply drill a few holes in the base and then fill with soil and your choice of plants. It’ll bring a wonderfully rustic look to any garden and it couldn’t be easier to do. You’ll have your ideal garden in an hour! Also, the metal of the troughs keeps your plants warm as an added bonus! If you have a sloped yard, a raised bed could be ideal. You can build up each bed at its lowest point using stones so your garden appears to be level. You can choose the width of your beds to suit your choice of plants, so whether you want perennials or shrubs to frame your garden, you’ll be able to achieve the look you desire. Are you ready to start creating a raised garden border for yourself? Try one of these great ideas and breathe new life into your outdoor space.